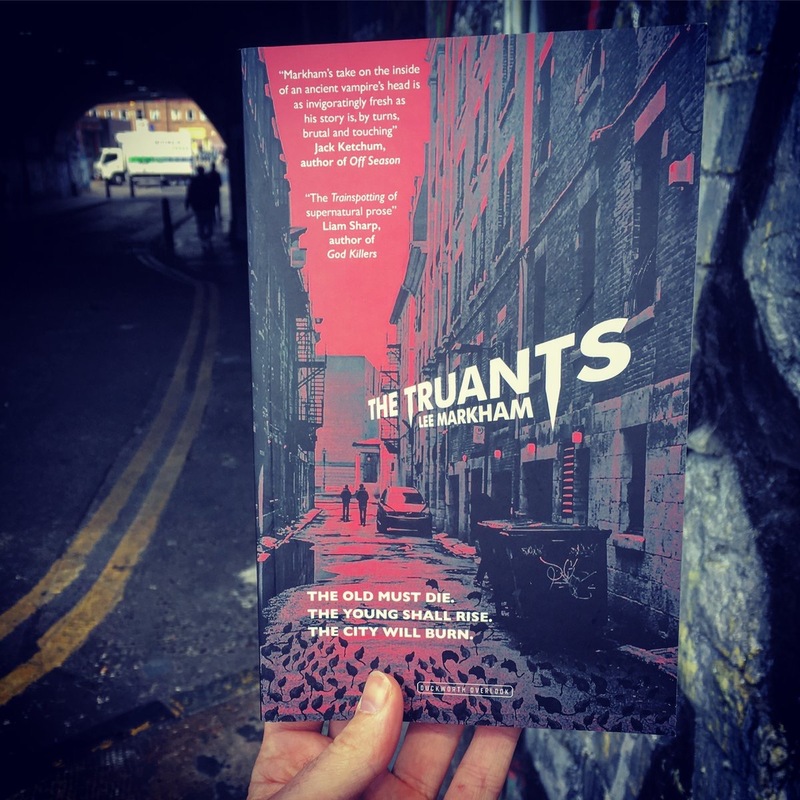 The Truants by Lee Markham is a Jungian, neo-noir vampire saga juxtaposed against juvenile nihilism and flamboyant fatalism. Markham’s prose is proficient, purposeful and poetic. His Author’s Voice is akin to an aria sung by a soprano sfogato – the words trill and tremble and taunt and tear. The metaphors, combined with Markham’s unsettling existentialism, creates a menagerie of moral choices that are both touching and abhorrent. I am a tough critic and a perfectionist (double-edged sword when one reviews literature). Although perfectionism leads to neurotic tendencies in some cases, it also has its fair share of benefits, e.g. I can appreciate subtle nuances and allusions. I know – call it instinct – when an author alludes to The Iliad of Homer for the sake of the narrative versus when an author alludes to The Iliad of Homer for the sake of pretentious intellect. Acidic? Yes. Honest? Yes. What does this have to do with The Truants? Be patient. Psychoanalyst Pierre Janet called it “splitting of consciousness” (also known as Splatung in German). Sexual darling of the year, Sigmund Freud, took it one step further and explained it as the result of inner conflict, a repression of sorts. Markham’s main character “splits” into several pieces, which is all fine and dandy, right? Once the POV (Point of View) crumbles, the entire narrative has to keep up with the Kardashians, i.e. all of the characters want to speak at the same time. It’s like popping balloons at a Dissociative Identity Disorder meeting. Character one sees character two controlling character three. Switch! Character three now controls character two, yet character one controls character four and vice versa. Switch again! Character one, two and three control character four, but the latter character doesn’t have the ability to realise he’s being controlled, therefore he exerts control over character one, two and three. Don’t fret! My brain also exploded. Markham controls his contrasts by adding depth and removing shadows when required – this flotsam and jetsam also spills into the characters and their surroundings. Markham’s world isn’t a fictional, mnemonic recall of Writing 101, nor is it filled with meaningless narratives. The Truants is alive. You can feel the fear and fret and failure. You can hear the cacophonous discordance of strangers in the background. You can understand the metaphysical importance of each decision. You can become one of them, a truant, a juvenile drug addict, a visceral truth. Markham’s mark is a loud wound bleeding in the wind. He manages to sustain this United States of Tara narrative throughout the entire book, and he never deviates from the path. Mark Markham, because he’s here to stay. Oh, and my perfectionism? I know when an author tries to impress versus when an author impresses without being onerous. Markham can be found in the latter category – he’s hiding behind Freud and Carl Jung’s ghosts. Or at least I think they’re ghosts? I have terrible eyesight, okay? Contorting the conventional vampire narrative into a startling tale of immortality, blood lust, and rage contaminating London’s inner-city youth like a virus, The Truants tells the story of the last of the old-ones—creatures afflicted with a condition not unlike vampirism: ancient, bloodthirsty, and unable to withstand sunlight.